I'm going to start this review with a plea and an apology. The plea is to anybody out there reading this review who thinks this book is another attempt at changing a favorite character into something they are not to grab new customers. Sure, this story is a bit off the beaten path for Dinah, but Brenden Fletcher stays true to her and cleverly keeps her past intact. The apology is from myself to Fletcher for thinking those things myself before reading this issue. 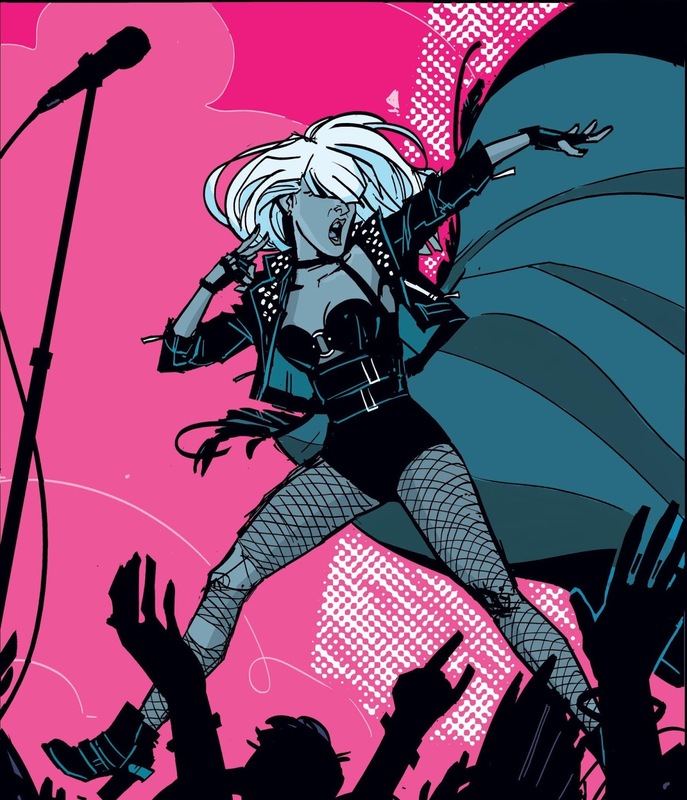 Dinah is the lead singer of the band, Black Canary, and her and her band mates have a problem. Every show ends up with Dinah beating the crap out of someone. While they all deserve it, it's giving the band a bad reputation and if things don't change soon, the rock and roll dream will be over before it begins. I was into this story from the get go. 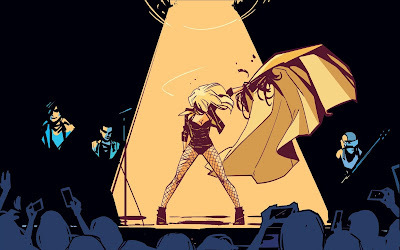 Annie Wu gives it a gritty, indie feel that matches the feel of a young rock band on the road for the first time and Fletcher does a great job of introducing the members...to the reader and themselves. Being in a working band is such a unique experience, but this book gives you a glimpse at what it's like. As you travel, it becomes you against the world until every member becomes closer than family. We get to see the start of that here and I loved it. Of course, this book isn't just about the band and there is a crazy story going on as well. It seems that the band is being stalked by more than groupies and Dinah is forced to do something about it. Again, Fletcher knows Dinah so well that when he introduces one of the craziest ideas I've seen in a while, it works. The Black Canary band is about to dish out some hits...and some kicks and maybe a couple of beat downs as well. I really enjoyed this issue. It gave me everything I wanted from a #1...a great cast of characters, an interesting story with a mysterious twist and the promise of something even better down the line. Brenden Fletcher may have personally convinced me of the validity of the DC You. While I loved Brenden Fletcher's story, Annie Wu's art is half of the story by itself. Like I said above, the gritty look fits the story, but it's also about the tour posters and the news articles sprinkled throughout the story. They make everything just scream rock and roll. Leave your preconceived notions at the door, pay the cover charge and rock and roll. This book is a winner and I hope that everyone gives it a shot because it looks to be the beginning of something special. 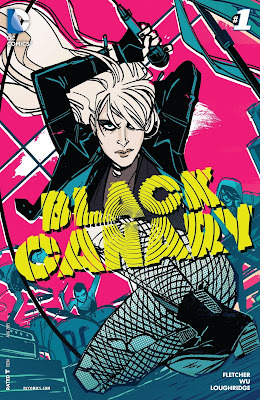 Brenden Fletcher takes Dinah into new territory, but doesn't forget her past. That combined with Annie Wu's awesome art makes it easy to recommend this book to everyone out there. Jump on now so you can brag that you were there at the beginning.